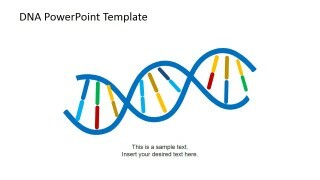 DNA Strands PowerPoint Template is a PowerPoint template design containing a creative DNA diagram created with PowerPoint shapes so users can easily edit and customize the DNA Strands to fit their presentation needs. 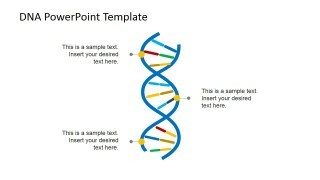 Impress your audience with the DNA strands PowerPoint template. 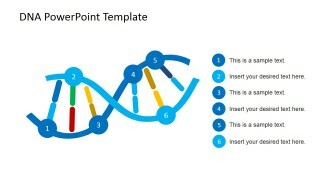 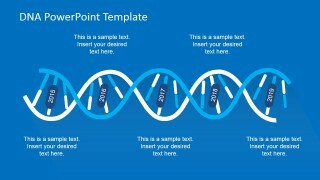 The Office template features several alternatives of the helix DNA format; the presenter can choose among so as to have the slide design which is most suited to it specific needs. 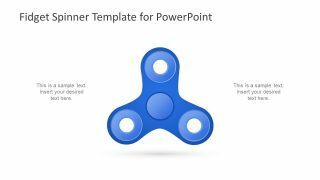 The PowerPoint clipart are striking and attention-catching, providing colorful, more visually-appealing substitutes to the conventional timeline and organization presentation design, exhibiting remarkable yet reliable information for the target audience and other members of the business organization. 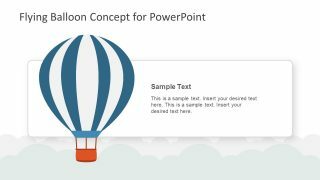 They are specifically designed to present these information in the best way possible, and modernize the organization of the PowerPoint presentation. 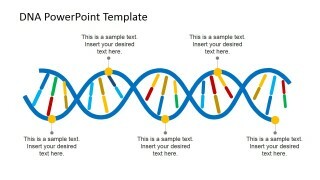 Prominently featured in the PowerPoint slides of this template designs are DNA ribbon PowerPoint graphics, showing different areas of focus. 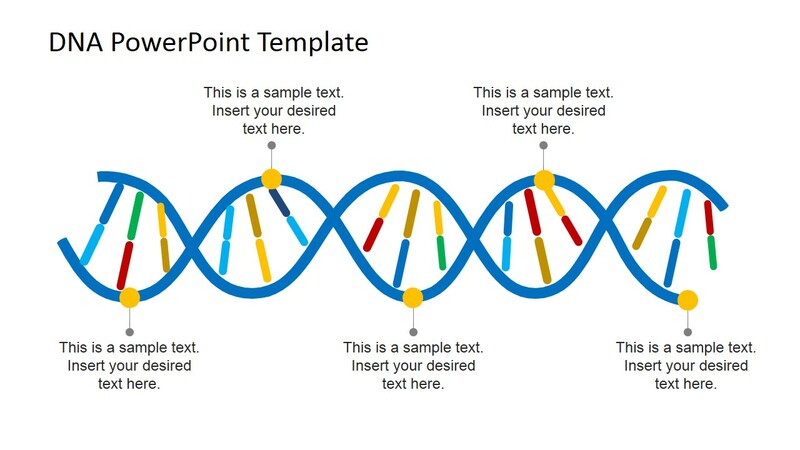 These slide designs may be used to illustrate business events and activities which contribute to establishing the organization’s corporate identity, with the DNA strands representing the company’s efforts to make a mark with its own brand. 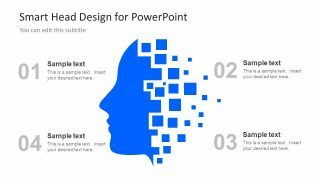 The PowerPoint shapes and graphics found in the PowerPoint presentation have visually-satisfying and calming colors that appeal to the senses and improve the overall aesthetic of the presentation design. 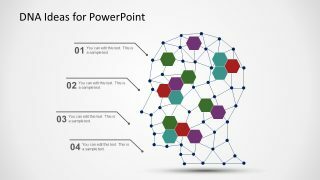 The PowerPoint slides can be also be used to present a wide variety of information, such as key identifying elements of certain marketing and advertising plans, as well as the schedule of implementation for proposed business activities. 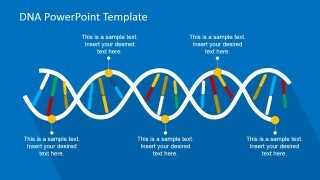 The presenter may even modify the look and feel of the template itself, to fit his or her specific needs and preferences, as well as streamline the presentation to become more ideal for the target audiences in specific situational environments. 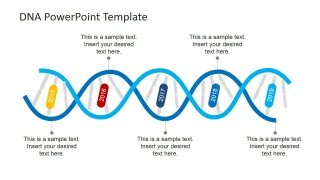 The text placeholders and diagrams may be edited to fit even more information and improve the clarity of the presentation, giving the information a greater impact with the target audience. 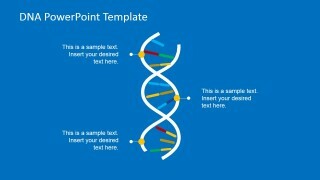 Be assured of an interesting, visually-stimulating business presentation with the DNA stands PowerPoint template.